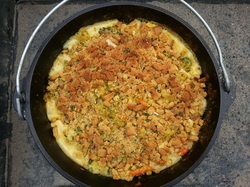 In a 10 inch Dutch oven over a full spread of coals, simmer the oil, soup and cheese sauce until blended and heated through. 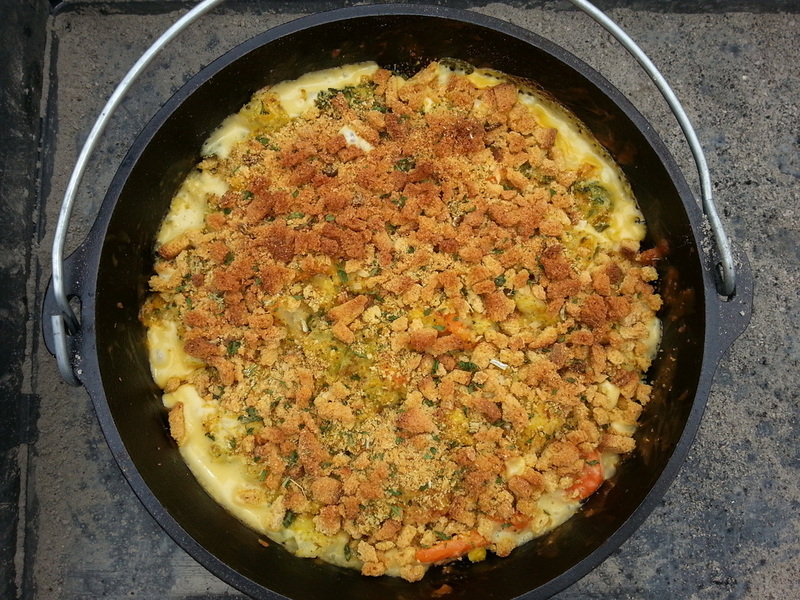 In a large bowl, combine the vegetables and 1 cup of the stuffing mix. Add to the soup mixture and mix well. Sprinkle with the remaining stuffing mix. Using 6 coals under and 14 on top, bake at 350 degrees for 30 to 35 minutes, or until the vegetables are tender and the edges are bubbly.